The blue blob has been revealed. 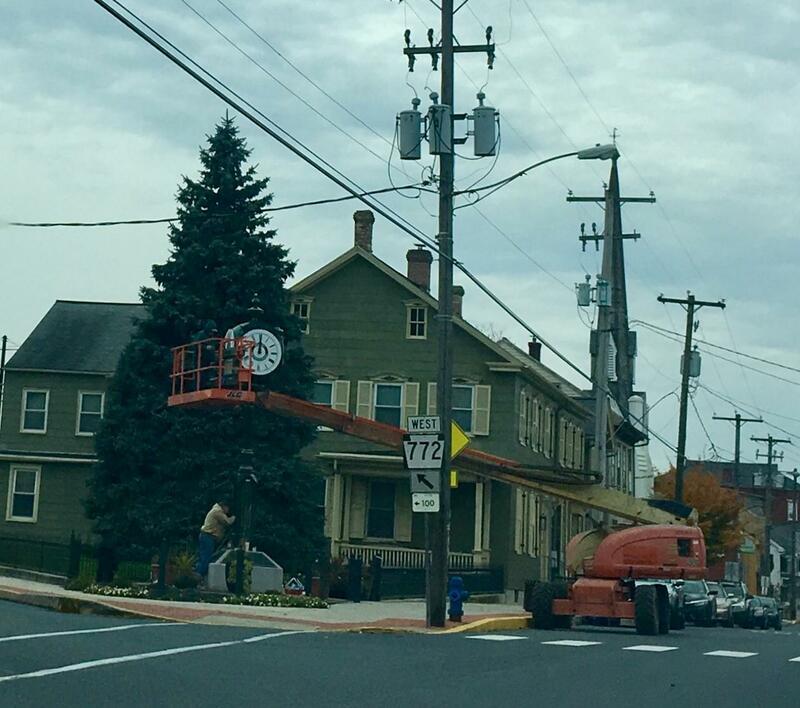 Re-installed on November 12, 2018 the lovely centerpiece on Mount Joy’s Town Square has been refurbished and is again counting the hours of our days. In 2002, in honor of Mount Joy’s Sesquicentennial the original Mount Joy Rotary Club Clock was installed. This summer our town clock was whisked away to be completely updated, repaired, and repainted. Thanks to the many sponsors and loads of French fry enthusiasts for helping to give her a tune-up and facelift. During the Mount Joy Winterfest on Saturday, December 1, the clock will be dedicated to the community. At 6:45, the Rotary Club of Mount Joy, Mayor Tim Bradley, and Santa Claus himself will reveal the new face of time in Mount Joy.